During an informal interview with blogger John Yates on Instagram Live, Rachel gave fans an update on her long-distance marriage. "We are trying to save money still for the visa. There is no progress... It could be a minute," Rachel said, revealing that the visa could cost anywhere between $10,000 and $11,000. "I think if we weren't doing this with a lawyer, it would be a lot cheaper. But we don't want to do something wrong or miss something... and have then deny us." Rachel had previously revealed on the Tell All special for 90 Day Fiance: Before the 90 Days that obtaining an immigration visa for Jon to permanently move to the United States would cost "an absurd amount of money." She therefore said at the time the visa was "non-existent." Rachel and Jon's fans attempted to help the couple in financial constraints by setting up two separate GoFundMe pages to raise money; however, the pages were removed from the Internet hours later. "Yeah, we did ask them to take it down. Basically, people are pretty much throwing money at us like, 'Please, please, I want to help you.' It is really touching that people want to do this, but it feels wrong going on TV and then saying, 'Okay, now can we have your money?' with nothing in return," Rachel explained in her interview. "It's sweet and people seem to be enjoying it. So we feel if anyone wants to donate, we'd rather give something back... Sometimes the easy way isn't the right way to do it," Rachel revealed. In addition, fans are able to tip Rachel or John for the personalized message. Rachel revealed she once received an extra $50 from someone. "It's cute and it's silly, but it's a lot of fun," noted the mom of Ella and Lucy. As for whether Jon and Rachel would be onboard to star on a future TLC spinoff of 90 Day Fiance, Rachel replied, "I think so. I think so." "It's been a blessing in disguise in a sense," said Rachel, whose storyline with Jon would fit into the premise of 90 Day Fiance: Happily Ever After? or 90 Day Fiance: What Now?. "I kind of like [being recognized in public]; I'm not going to lie. Yeah, we would do it again. I think we're getting used to the trolls and the insults." Rachel and Jon starred on Season 2 of 90 Day Fiance: Before the 90 Days, which premiered on August 5. Viewers witnessed the couple's engagement and marriage on the TLC show. 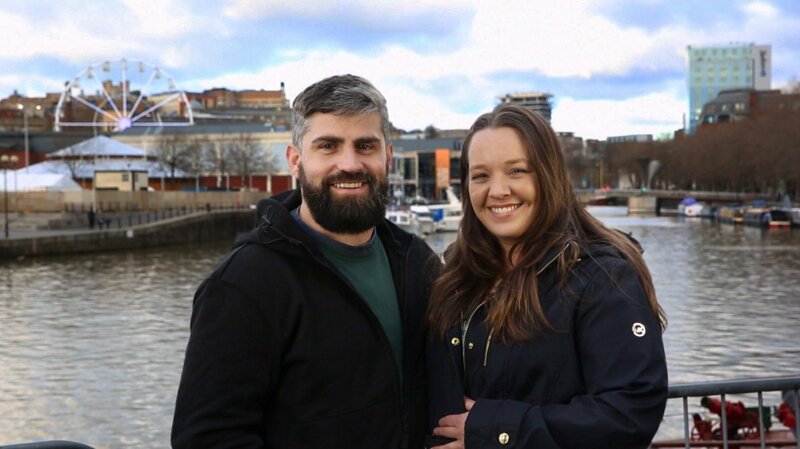 Rachel and Jon just revealed last week on their joint Instagram page dubbed "Follow Our Fairytale" that Rachel, who currently resides in Albuquerque, New Mexico, will be visiting Jon in England this December for their honeymoon.